In 1910 William Curzon set aside 30 acres of land that was formerly part of his villa (this has now long vanished). The first 12 acres were opened to the public in August 1913, this area being landscaped by William Barron & Son of Borrowash. 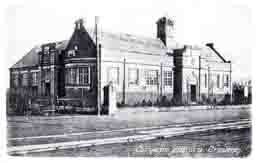 In 1915 the Carnegie library was opened and remained on the site at the entrance to the park. In 1957 part of the library was used by Wilmorton Junior School as overflow classrooms. It was closed to the public in 1971 and finally demolished in 1980. Also in 1915 a sand pit and playground were added, which was funded by Alderman Blewes Robotham who at the time lived in Nunsfield House on Boulton Lane. In August 1921 a paddling pool was opened and measured 130 feet x 60 feet. In 1922 the bowling green and tennis courts were opened, and work started on digging out the lake. 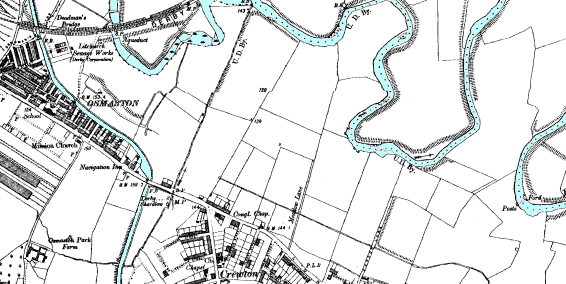 The lake was fed from Cotton Brook, which flowed from Normanton and ended at the river Derwent. The lake was opened in September 1923, around it there was a cafe-pavilion and a boat house with rowing boats and paddle boats for hire. In October 1923 a model boat club was set up and model yachts were raced across the lake. From 1925 annual carnivals were held on the park with such activities as motor cycle football, swimming races, flower and horticultural exhibits. These carnivals were very popular and it is thought that as many as 30,000 people attended these events. 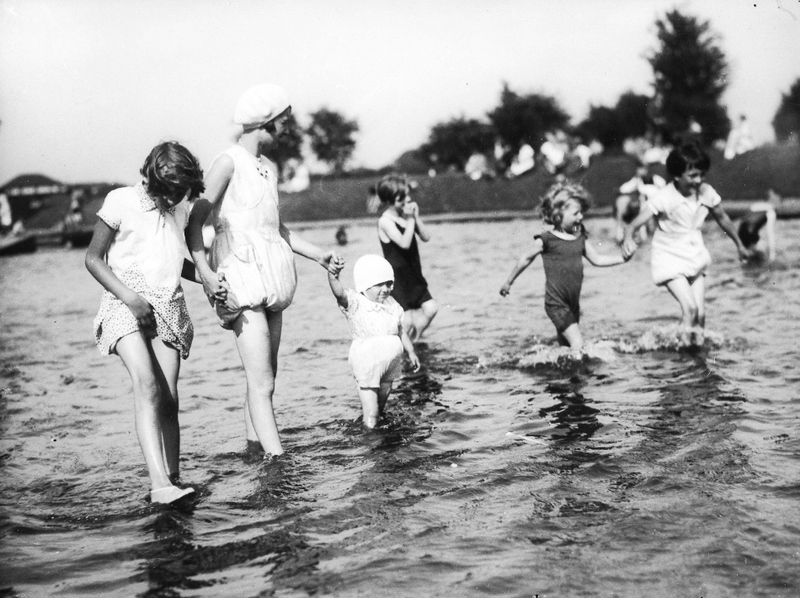 In 1934 the lake was found to be badly polluted and the town council had to urgently clear Cotton Brook to restore the water purity of the lake in time for the carnival. During the second world war the park was used as a prisoner of war camp, part of which was for Germans and the other for Italians. The Italians worked in the fields of local farmers and the Germans worked at the ordinance depot on Sinfin Lane. After the war the park was restored but it was never the same. Although the city council has kept the park which was mainly used for football, it has slowly declined in its use. The final act of vandalism was the burning down of the changing rooms. 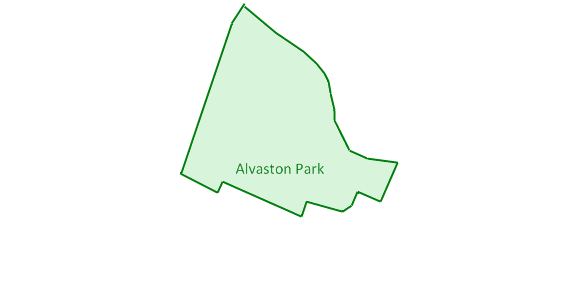 During 2006 the local community had a meeting with representatives of the parks and council and decided that the time had come for action to reverse this downward trend, so Alvaston Park Friends was formed towards the end of that year. In 2008 Cycle Derby secured a grant of £85,000.00 to refurbish the BMX track to bring it up to national standards. The work was completed during that year and has been a great success, and the park has been host to several national events. These events bring large numbers of people into the park. On December 7th 2009 the deputy mayor of Derby Councillor Fareed Hussain opened an out door gym called the AdiZone. The new changing rooms and café were built by Derby City Council in partnership with the Football Foundation and were opened on the 2nd May 2011.